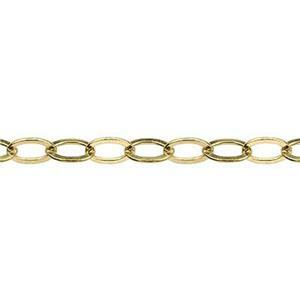 This gold filled jewelry chain is slightly stretched or "drawn" to create more oval shaped links with a straighter edge on the outside of the chain. Yet, links are still open enough to accomodate gold filled jump rings for attaching embellishments. Show us what you make! Tag #Halsteadmakers on your social media images. Looking for the perfect Jump Ring for this chain? Try GJ64!